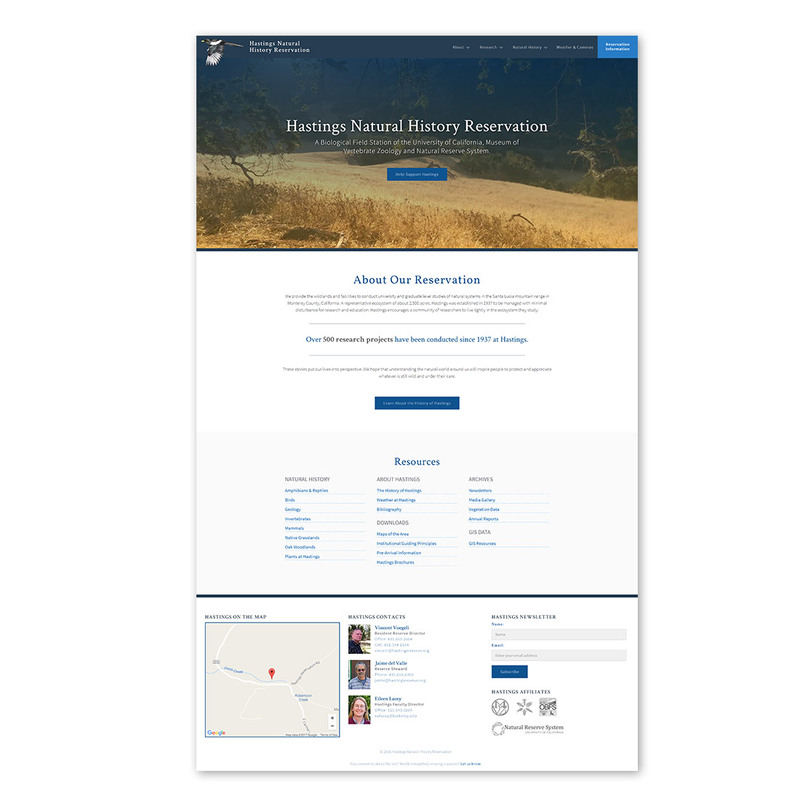 The Hastings website, while holding a vast repository of data and various information, was in desperate need of an overhaul from its framework of the early 2000s. 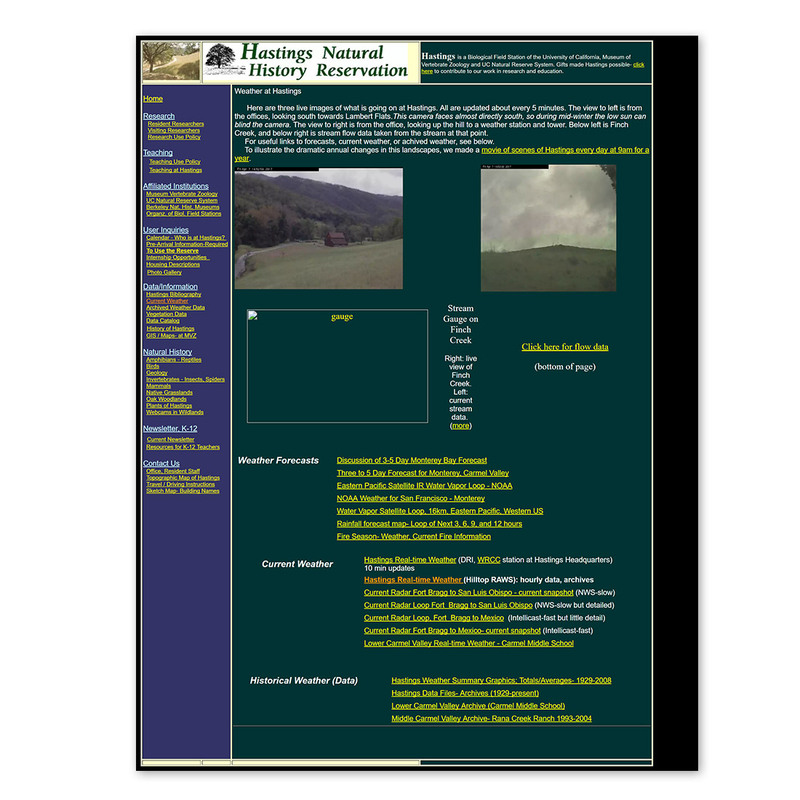 I coordinated with the reserve director to first do a full audit of the existing website, which involved a full query of URL statuses, documentation of the site architecture, and review of required versus 'nice-to-have' content. Once this was established, I began working on creating a new site architecture and establishing a basic style guide for the new build. 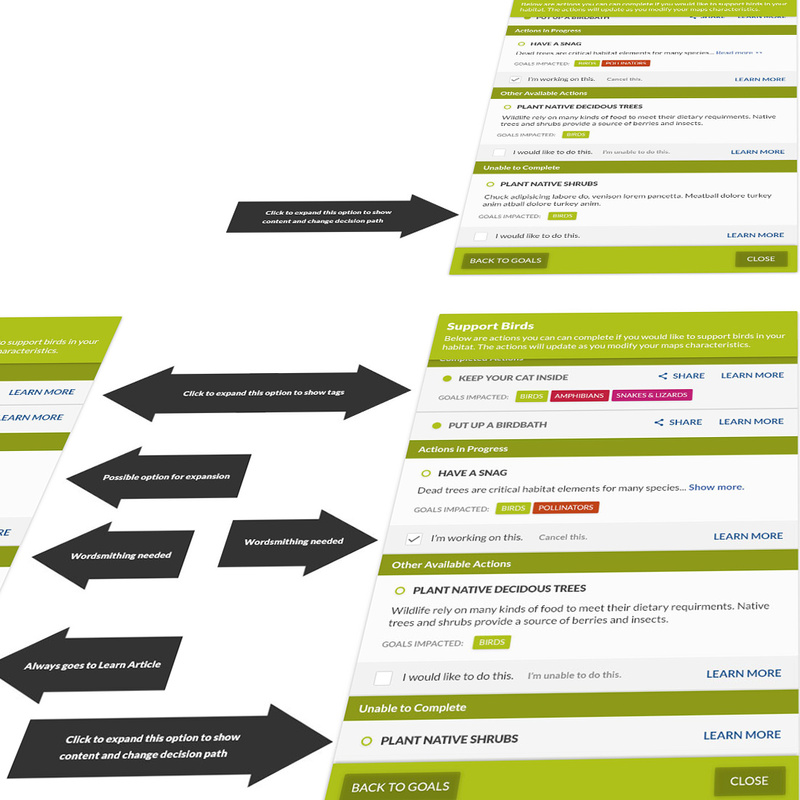 I then began content pour and page build-out simultaneously, using Webflow to expedite the build timeline. 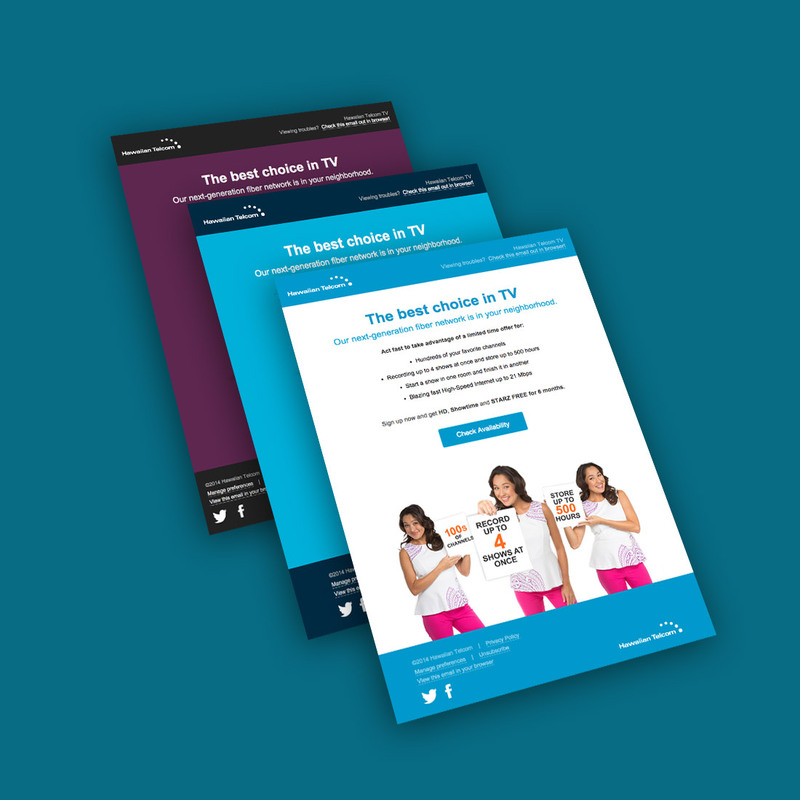 You can see an example of an page from the old website below. The website was launched in late December 2016 and will be added to, integrating the vast history and data repositories for users to access.